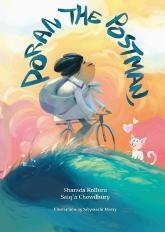 Postman Poran is very sincere in his job. He delivers letters to every house but once he got a letter with an odd address and did not know how to find the place. Will he find it?